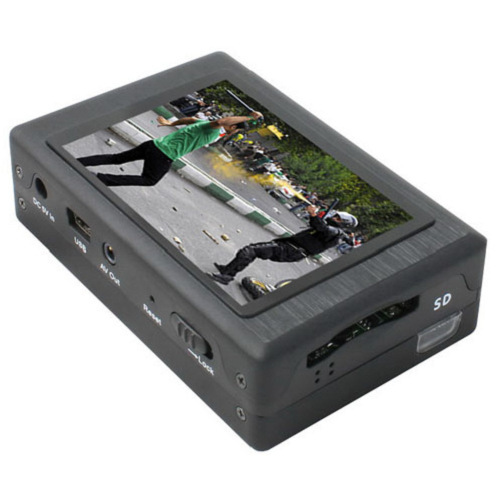 High resolution (720 x 480) video quality and time/date stamping to meet law enforcement standards. 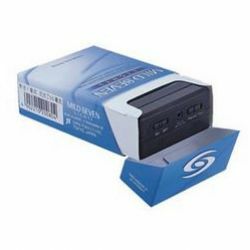 Support external camera to connect directly without any other additional batteries or power cords. Vibration alert when without video signal or without SD card or starting recording or stopping recording. Special Functionality of Password protected! There are a lot of ways for your selections operation, such as wired control, wireless control, auto motion detection and buttons for your record tusk or play back. Support SD card in FAT32 over 32G. 1. With chargeable renewable Li-ion high capacity battery, the battery can be replaced by the mobile battery. You can choose the other one at hand to use in the event that the quantity of electricity exhausts. Moreover, you can choose UPS battery pack with the large capacity of 7200mAH, which can supply the constant electricity over 18 hours. 2. Function of high intellectualized dynamic detection (or motion detection, or dynamic target acquiring) which means that it can record only when images changing on the scene. Moreover, various automatic kinescope, recording or photo capture are available, it can be used in the automatic control by connection with the relevant electrical appliance (such as Security Alarm System). 3. Professional large picture high-speed and high-definition video: PAL: 720x576(D1)/25FPS, NTS: 720x480(D1)/30FPS. it adopts the advanced MPEG4 video compression, and MP3 compressed format for the sound. 4. Vibration alert when without video signal or without SD card or starting recording or stopping recording. 5. Special Functionality of Password protected! 6. 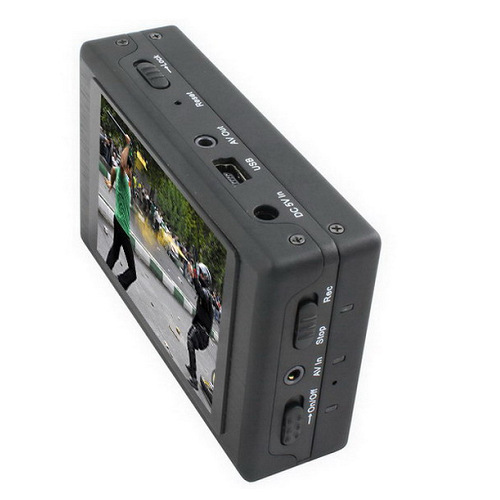 Integrated with many high-performance applicable functions, including recording video and audio + photo capture (photographing more than 2 mega pixel and supports the software upgrade to 5 mega pixel) + amusement, and can be used in many different purposes. 7. CCD or CMOS camera is available via direct plug without any other additional configuration, as well as supports zoom cameras and infrared night vision cameras are attachable, etc..
8. Real-time recordings are marked the date and time information of spot photographing for the future inspection and confirmation. 9. Document and data can be sorted by many recording methods. 11. External infrared night vision cameras or low lux cameras are attachable, and without any other additional power supply. 13. Function of wired control for recording AV and photo capture. 14. Function of wireless remote control. 15. 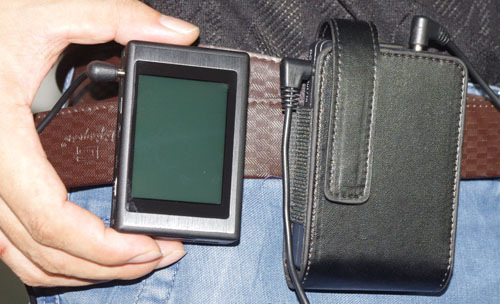 Direct connected with the computer via USB (OTG) so as to upload or download the data conveniently to realize the global transmission and reception in the internet, also can be used as USB disk. 17. Many methods for documents and data storage and record: motion detection, full-stop, overwrite and long-timing, etc..
18. Available control or controlled by I/O connector, it can be thus connected with other security monitoring equipment, alarm and monitoring center, etc., as well as works together with them so as to realize the automatic monitoring, automatic recording and automatic control. 19. Microminiature(can be placed in the cigarette case), therefore, it is most convenient for taking along with you. 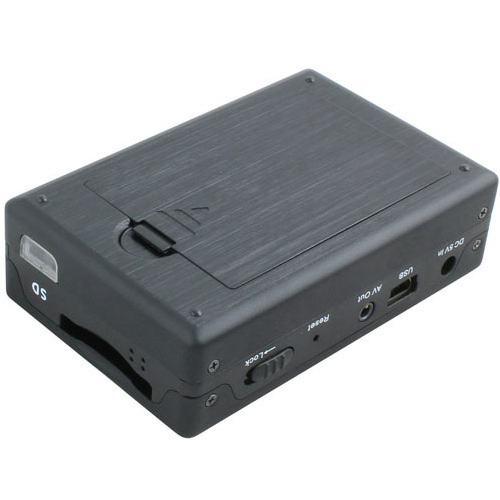 It is the real personal portable recorder and car recorder, especially convenient for amusement and special recording task. 20. Auto saving setting and file when sudden power disconnected, so as to store the significant data. 21. Many easy, practical and realizable operational modes are provided to meet the requirements for operating of special kinescope and recording. 22. Function of button locking to avoid the miss-operation. 23. Function of hardware and hardware expansion and update to be convenient for customizing the product.